‘I don’t know the story of what I’m doing‘, was how Jane described her frustration with herself in a recent coaching session. As she moves into a new role that requires her to demonstrate greater authority in a highly complex stakeholder environment, her existing skills and perspectives were no longer working for her. Jane’s story about who she was and how to be successful didn’t fit her new context. Jane welcomed the opportunity to work on herself to grow her leadership effectiveness. Here’s my formula for doing 1:1 work with executives like Jane, to help boost their formative leadership capabilities. Transitions from one role to another, or from one organization to another, feel big, and challenge our growth edge: everyday moments offer rich opportunities to magnify growth. These are the hooks that hold back change: the inner voice telling us ‘I’m not good enough’, ‘I’ll fail’, ‘I won’t be liked’, ‘I’ll look foolish’, ‘I don’t deserve it’. Instead of being thoughts that we have, our thoughts have us. These hooks affect how we talk about ourselves and become fused with our identity and the stories we tell about our current and future leadership selves. They become a boundary that may have been protective in the past yet now they prevent growth. Anna, a highly accomplished young leader, chose as her current goal to liberate herself from her internal voices and to be able to hear her ‘own self’. She internally replayed her conflicting parental voices, one of which was a highly critical ‘you will never be any good’, and the other of which was ‘take risks, strive hard, achieve’. Mapping that internal conflict as reflective of her current impasse was the first step to becoming liberated from it. For her, these internal voices were quite intrusive: coaching allowed her to transform her confusion and discomfort into a catalyst for her growth. Having made progress here, she was able to focus on the career and other leadership goals that brought her to coaching. For others, simply recognizing that such thoughts are happening is enough. Mapping or journaling processes to surface the patterns and identify the specific criticisms opens them up to objective examination. As uncomfortable as it is, clarifying and examining critical internal voices allows us to make choices about their value and to shift the level of influence they have over us. Mona identified that her ‘you idiot, why don’t you see the world as I do’ inner voice led during difficult conversations to an overwhelming anger she described as a ‘red mist descending’. She was pretty horrified at herself for the emotional outbursts that followed, yet felt trapped into them. Regularly practicing an acceptance mindfulness technique enabled her to unhook from her negative thoughts and feelings, and to stop fighting against them. Using humour, reframing, and exploring the workability of those persistent yet irrational inner voices are other useful techniques. Taking different perspectives is a powerful way to open up new possibilities for action. Being aware of different mindsets and being able to take a variety of different perspectives helps to create new possibilities, and provides a new source of energy. Imagining her working life from a future perspective allowed Lan to refocus her purpose. A couple of years ago, she’d decided to move her career in a different direction, and had taken on a couple of short term roles to help make that shift. As the current opportunity came to a close, she felt perplexed at her lack of energy and motivation. For someone usually highly motivated and excited by her work, this was anxiety-provoking. She readily admitted that she ‘always’ thinks from the present to the future and thinking back from the future to the present was challenging. She drew several ‘bubbles’ in which she considered various possibilities for her career, and just the opportunity to explore these options helped her to open out her thinking. 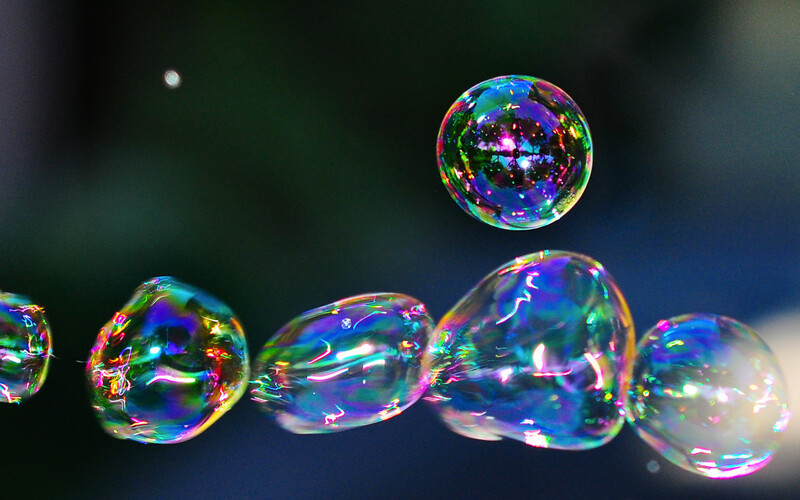 Lan played with the bubble analogy, and came to the decision that this new career path was wrong for her. She ‘burst that bubble, but in a good way!’. She reflected that she’d been somewhat seduced by her success as a good people leader, and the idea of pursuing a career in human resources seemed a natural extension of that. However, her bubble bursting realization was that she could continue to take on more senior operational leadership roles AND continue to be an exceptional people leader, and that this would be much more satisfying for her. She was able to craft herself the role she wanted and to re-energize. Robyn shares joint responsibility for a transformational change program in a large global organization. She’s new to the organization, the owners are new, the CEO is new, and her relationship with her joint project owner is new. The change process is being described by stakeholders as ‘undoable’: it’s a challenging situation. Robyn felt herself becoming stuck constantly fixing operational crises, all the while knowing that this is not high value work for a C-suite executive. There’s a lack of capability in critical areas of need in the organization, and she’s being landed with and feeling responsible for making sure they get them right. Taking some time to imagine the perspective of the joint change owner enabled a profound shift in Robyn’s thinking and actions. It enabled her to shift from what was happening to her, to what her colleague’s experience might be like. Her compassion increased visibly as she reflected on this, tuning into some of the cues from earlier conversations indicating her colleague felt out of her depth, knew she wasn’t the first choice for the role, was concerned about not spending time with her young daughter, and consequently was beginning to question whether to continue in the role. As they were joint project owners, success, and failure, were shared. They could only succeed if they worked closely together, something they were not yet doing. Robyn identified some tactics for engaging together, such as joint daily ‘triage‘ meetings to deal with all project issues and keep them on top of what was happening, allowing them to be more proactive and less reactive. This would also serve the important purpose of becoming a united front and presenting that united front to their teams and the organization. Having unhooked from the thoughts that had them, challenged their existing mindsets and explored new options, Jane, Anna, Mona, Lan and Robyn were able to shift their focus from who they were, to who they wanted to be. In Part 2, I outline the remaining three steps: crafting a new story, creating room for the new, and reflecting daily on progress.